Social media has become a vital platform for businesses to market their brands. Instagram has become a powerhouse and its popularity keeps on growing every day. Currently, Instagram has over 800 million monthly active users and it is the only social media platform that has an active audience who is more willing to take action than audiences on other social media platforms, including those that have been around for a long time. A study conducted by Forrester Research revealed that Instagram users are 58 times more likely to comment, like, or share a business post than Facebook users and 129 times more likely to take an action than Twitter users. 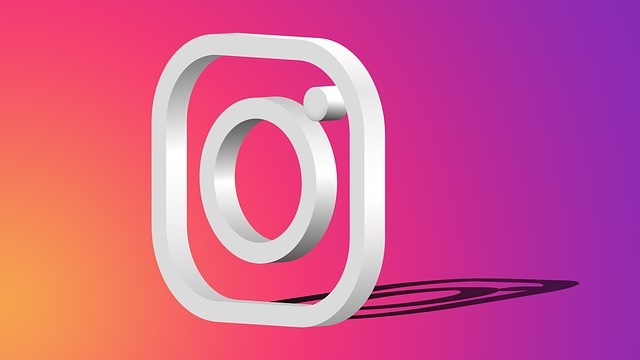 This clearly proves that Instagram is indeed a powerhouse and offers the best opportunity for businesses that want to reach and engage with their target audience. If your business is not on Instagram, then you are definitely missing out. Instagram is highly recommend for businesses because of its unique ability to showcase visual content that can easily trigger consumers to take action. Instagram content is simple, more shareable, more universal and easier to understand that other types of content. Instagram is not just a one way street. If you want to retain and expand your audience, then you need to acknowledge your customers. The difference between having a successful marketing campaign and a failed one lies in how well you communicate with your audience. Competitive business know every comment means that someone actually took time to look at the post and share his/her thoughts, which is why these businesses usually take their time to replay to stories and comments. Do you know that responsiveness actually defines your brand? If you actively engage with your audience in a positive and timely manner they are more likely to take an action. Studies have shown that business that are responsive on Instagram create stronger feeling of loyalty with their audience, and as a result, they are more likely to realize success. Micro-blogging (writing short blog post) on Instagram with captions is one of the best ways to market your business as well as share your content to your target audience. Writing long content is time consuming and overwhelming. By micro-blogging with captions, you will not only provide your audience with important news, but you will also capture the attention of your target audience. Hashtags helps to categorize content on Instagram. It makes your content discoverable and also allows you to find relevant content from other businesses. However, using the same list of hashtags on each post may signal lack of creativity, a factor that will greatly affect your post on Instagram. The 2018 Instagram update does not favor posts that uses the same list of hashtags. If you want to connect with your audience, then it is recommended that use varying hashtags on each post. Always use hashtags that are really specific to your niche and are moderate in popularity. Placing hashtags in the body of each post helps to make your content discoverable. It also allows you to connect and engage with your audience based on common interest. Placing hashtags in the body of each post also allows you to engage with those in your target audience who are ready to take an action. Showcase your brand and what you stand for. Renowned marketers know that Instagram stories are not a passing fad. It helps to reflect your business brand and strategy. Well formulated Instagram stories help businesses to market as well as improve their engagement and visibility. It is a real time marketing strategy that you can take advantage off to show your business in a lighthearted way, so that you can create a more personal connection with your audience. Any social media marketer will tell you that the general appearance of your Instagram account can determine if you will attract a serious audience or not. First impressions are very important and businesses that are doing well on Instagram know that. That is why they have created an aesthetic Instagram account that look professional and credible. Instagram analytics helps businesses to evaluate whether their marketing efforts are having a positive impact on their business. It helps them to analyze how their Instagram activities are driving outcomes, track their followers, post engagement, stories views and website visits. The data that they obtain helps them to make informed decision. Staying up to date with Instagram new features can help your business stay ahead of your competitors. Successful businesses usually take advantage of new Instagram features such as the Instagram stories options, Emoji Slider, Poll and many others. Knowing how your competitors are performing will help you to determine if you are on the right track or not. That is why competitive brands on Instagram use social media competitive analysis to track what their competitors are up too and what they need to do to catch up with them. The strategies that you use when marketing your brand on Instagram can determine its overall success. If you follow the above mentioned tips that your competitors are using, then you will attract a large audience who is ready to take action. Co-founder @ Socialinsider - a social media analytics tool which serves up a full view of a competitor’s digital strategy for Facebook, Instagram and Twitter. She loves writing about social media strategy and consumer behavior.